We have been going to this park for years, it is our favorite local CG. Owners are very accommodating and friendly. Very clean park! 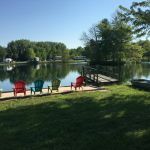 We camped at Spring Lake RV Resort in a Fifth Wheel. This is a golf town if you like to play. Individual sites are very clean and all furniture and equipment is well maintained. Each site has a double swing and the tabes and chairs are "cafe" style. 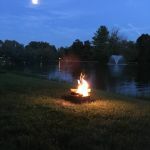 Our site was waterfront, but most sites have a good view of the lake in the center of the campground. Firewood is free and fire rings were in good condition. Restrooms were a bit small, but very clean and well appointed. Owner was very friendly and personable. We parked on level, clean crushed stone but patio area was concrete. All utility connections were in good condition. Sites are close together but the park was quiet. This was our first visit here and we would highly recommend Spring Lake. We camped at Spring Lake RV Resort in a Motorhome. Traveling in a 43ft Class A with 4 slides and tow vehicle. This is a very nice small campground that is big rig friendly. We were pleasantly surprised how nice at this price point. We had a back-in site on the pond with a fountain and it had a concrete patio with a swing, table and chairs. Had a great view and it was very quiet. Good Direct TV satellite and AT&T cell service. Good utilities and conveniently located. Would have given a 10 if there were more amenities. We camped at Spring Lake RV Resort in a Motorhome. The main road to the campground is under construction and the lanes with barriers are tight for a big rig. Lots of hiking nearby to great waterfalls. Beautiful little park with catch and release pond. Very well maintained with good size sites, unusual at this price point. All utilities worked well. Not much for kids here, but great for adults. If there were seasonal folks here, I couldn't tell. We were at a pull through site at the front of the park, but when we come back, I'll definitely do a back-in site around the pond. Road was wide enough to allow easy back in. We were at site 22 and could not get satellite, but pond sites should have no problem. We stayed in a 43 ft motorhome. There were a number of other big rig motorhomes around the pond. We camped at Spring Lake RV Resort in a Motorhome. Check out the Crossville Model Railroad Club Exhibit inside the Crossville Outlet Center. Large display, and the details are amazing. Very quiet RV Park. Excellent facilities. Entire area was well maintained and neatly manicured. Man made lake with catch & release fishing with pretty dock with colorful Adirondack chairs to enjoy. 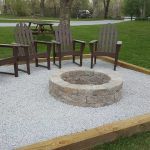 Each site had concrete patio, swing, bistro table and chairs, charcoal grill and fire ring. Firewood provided free! We camped at Spring Lake RV Resort in a Motorhome. I think this was one of the prettiest little RV parks we've ever stayed at. There was adequate space between spots, trees, tables or double swings, grills. A nice pond too. And it was well kept and clean. 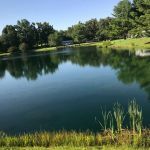 We camped at Spring Lake RV Resort in a Travel Trailer. Thank you for the nice review! 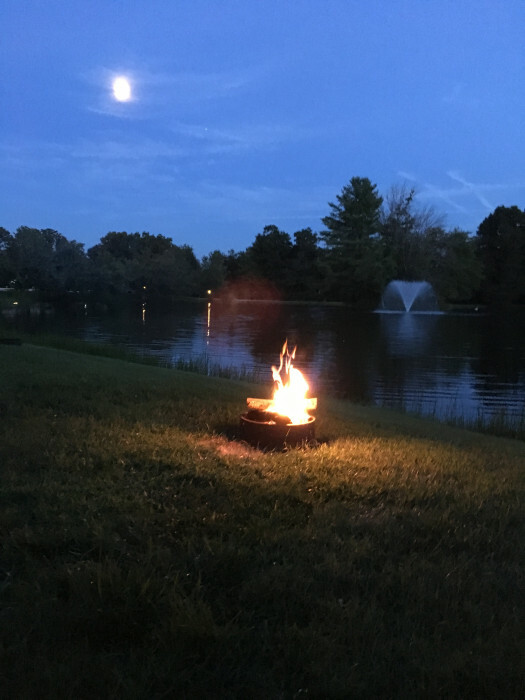 We are glad you had a nice time on the campground and hope to see you again. This is a great example of what a very good RV park should be. Plenty of space between sites, level, clean, very quiet, and reasonably priced. Campground is about 4 miles from I40 which means no road noise. Staff was friendly and helpful. We had a lakefront site which was very nice, but honestly any site is good. Would definitely stop here again. We camped at Spring Lake RV Resort in a Motorhome. Thank you for writing a review and sorry it took so long to write this response. Glad you had a nice time on the campground and hope to see you again. Very nice park in all regards. We did not have a lake site, but the view of the lake from our back-in space across the road was enjoyable. Our site was level and roomy. We had one minor issue involving what appeared to be an aggressive dog and its unconcerned owner. When I brought the situation to the manager's attention, he dealt with it immediately. There is no dedicated dog park, but ample grassy areas to walk them on a leash. Just be careful not to disturb the mallard and wood duck mamas and their ducklings! We camped at Spring Lake RV Resort in a Motorhome. Thank you for taking the time to write a review, we really appreciate the thought and time it takes. Again thank you. I never rate a park 10; but this one comes very close. Stayed only 1 night headed West. Clean, level, gravel sites, picnic table, firepit, fishing lake. Fast check-in. Will be back for an extended stay. We were here in a fifth wheel. 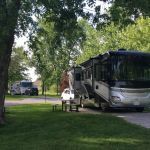 We camped at Spring Lake RV Resort in a Fifth Wheel. Thank you Billy for writing a review! Sorry it took so long to write this response, sometime I get a notification and sometimes I don't....Again thank you. Awesome park. Sites near the office have large trees with great shade. Owners work constantly to keep this park in great condition. We camped at Spring Lake RV Resort in a Motorhome. Thank you! We really appreciate you taking the time to write a review and sorry this took so long to respond to. Again thank you. This is our go-to campground in Crossville. So nice and peaceful. We like the campsites that back-up to the lake. They have a patio, swing and it's just a nice place to be. We camped at Spring Lake RV Resort in a Motorhome. Crossville Speedway is a ton of fun. Park on the tiered side and you can tailgate from the trunk of your car or SUV. Bring your lawn chairs. We stayed four nights with them and I can't say enough good things about them. The park is privately owned and owners on site. They are extremely helpful and accommodating. The park is immaculate, well maintained (pretty new) buildings. 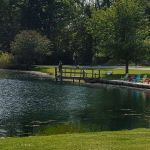 The 3 acre pond is beautiful with duck families making the scene idyllic with multiple seating areas even you are not on a waterfront site. The park is beautiful, the sites are very spacious and level, WiFi was excellent. Trees and roads are well maintained within the park. We had an unusual problem hooking up our car to the car dolly this morning and the owner and his father helped us and provided tools. They went above and beyond to help us get on our way. I have no hesitation in saying that this is a true gem of a place just 4 miles off of I-40. Although they are widening Rt. 101 to four lanes, we made it through just fine. It will be wonderful when its done. We migrate north and south spring and fall and this will always be one of our stops. We camped at Spring Lake RV Resort in a Motorhome. 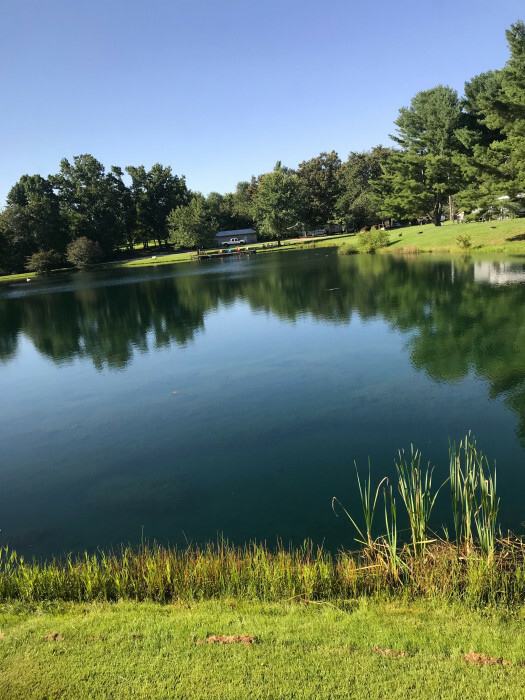 There are beautiful day trip car rides from that area up to Dale Hollow Lake and Cumberland lake with lots of farms and scenic vistas. We road south one day, northwest another and north, everything was pretty. Thank you for taking the time to write a very nice review and we are glad we were able to assist you on your car dolly issue. Hope to see you again. Great park. Small, quaint and quiet. Only small negative, there is no designated dog run but plenty of places to walk the dog. We camped at Spring Lake RV Resort in a Motorhome. Thank you for taking the time to write a review. We appreciate your feedback! We hope you'll come stay with us again sometime! Nice lake site with a level gravel site and concrete patio with grass all around. Patio has a glider and bistro table. Grill and fire pit also on site. One way loop road throughout and relatively easy back in and out. Many places to sit by the lake and very well kept with people always working outside. Very nice upon arrival. We camped at Spring Lake RV Resort in a Motorhome. Convenient to I40. Walmart and all chain stores one exit away. Thanks so much for taking time to write a review. We're glad you had a nice stay with us and hope you'll return again! We were here to explore homes in Fairfield Glade and explore Crossville. Not much going on in Crossville and WalMart was 12 miles from the park. Construction on Peavine Rd is a pain but no real problem. Also, quietest sites are the ones circling the lake, but front ones aren't bad. Lots of golf courses in Crossville & really close to Fairfield Glade courses. Play after 2:00 which is much more affordable. Tansi Lake Golf Course (southwest side of town) is super nice and $30 after 2:00. The Gondola restaurant has a super soup/salad bar as well as fantastic pizza. We drove to a city park, Centennial Park, about five miles away specifically for their dog park. It is very nice, large, securely fenced. They have one area for large dogs and one for small. A variety of things to keep us occupied in the Crossville area, and easy access to necessary services, including Food City supermarket less than a mile past the park. There is a really cool treehouse not too far away called the Minister's Treehouse. Worth a quick drive. We also ate at a local BBQ place called Lucky's...YUM! Cumberland County Playhouse, Muddy Pond, Crossville Flea Market, and good shopping nearby. Multiple stores and restaurants close by. Crossville has a lot of shopping and restaurants located just to the west of the I-40 exit to the campground. Couple of exits down from 322 there is a Wal-Mart and numerous places to eat. Cumberland Mountain State Park is 10 miles away and has a great buffet. There is also a Kroger and a Super Wal-Mart in Crossville. Food City grocery store close to campground. In town lots of restaurants & cafes around. Fortes for lunch was great...lots of food and delicious. Sisters for breakfast was very good home cooking at a good value. A lot to see in the area we went out to muddy pond where they have numerous Amish stores, good restaurants near by and a great little town to walk around in.